His name is Bruce Almighty and he has a “fierce determination” to live. This is Bruce Almighty. 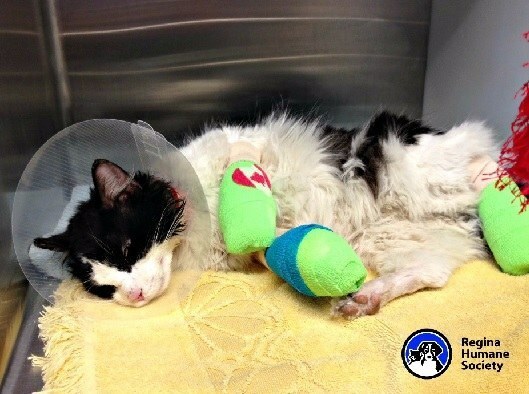 Rescue officers in Regina, Saskatchewan found him last week in serious condition. 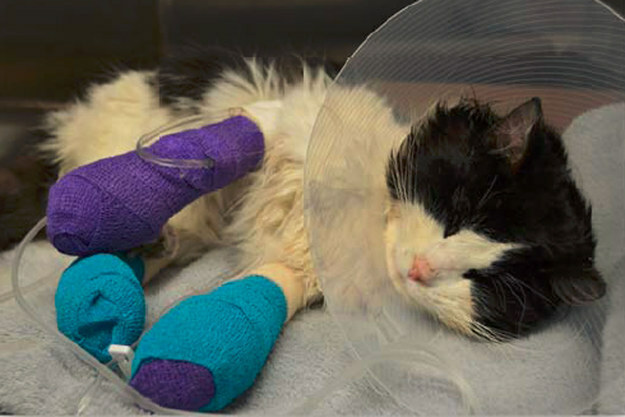 On Wednesday, rescuers were notified of a stray kitty with electrical tape wrapped around his paws. 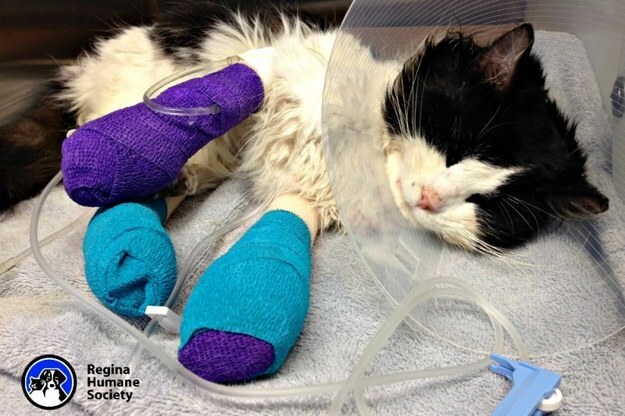 Apparently, someone had taped the paws so tightly, it had cut off blood circulation to his legs, completely destroying them and causing severe infection. 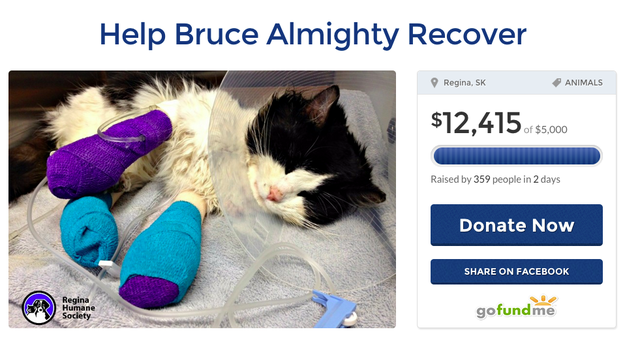 The severity of the injuries inspired The Regina Humane Society to start a GoFundMe page to see if people could help save Bruce Almighty’s life. Well, his story spread fast. People have already donated over $12,000 to his recovery efforts. The “goal” was set at $5,000. The Humane Society says they are trying to avoid amputation, but Bruce’s front left leg will likely need to be removed. In the latest update, they’ve noted that he has been resting and recovering, but his front left paw is “especially bad”. Still, they are hopeful that he will pull through. The Society will also donate any funds exceeding Bruce’s recovery costs to the other animals in the shelter. They said they chose the name “Bruce Almighty” because of his “fierce determination and will to live” after undergoing hours of emergency surgery. Good luck, Bruce! We’re all pulling for you.